Plan It Green specialises in creating sustainable homes that allow people to live the way they want and caters for their needs now, and into the future. We have a passion for environmentally conscious design that complements today’s way of living and believe that this can be achieved through smart design focused on creating quality spaces and not quantity of spaces. If you would like to chat to me about your project, contact me today. At Adam Hobill Design we specialise in the creation of creative and thoughtful residential designs to compliment your family and your lifestyle. We ensure that our designs are responsive to the specific needs of each client through our collaborative approach to design. We have been designing award winning homes for Canberra and southern NSW families for 15 years and we have been featured in House & Garden, Home Beautiful and Inside-Out magazines. We work with people who are interested in high quality design and who will typically have a budget of $350,000 plus for extension and renovation projects and $600,000 plus for new homes. Adam Hobill Design is a boutique design practice and we are known for bespoke building design services that are personable & professional as well as creating homes that are both functional and striking. In our experience most people aren’t familiar with the process of having a home designed, getting approval for it to be built and then engaging a builder. Undertaking a building project is a significant investment and it is important to get it right. Selecting the right designer is the critical first step on the pathway to your new home. The range of services and insight we offer, including design, presentation of concepts, high quality documentation and assistance with quoting and finding builders ensures that you have the best possible chance of completing your project without the stresses and difficulties that can occur. We believe our services are the most thorough, professional and cost effective in the market place. Our ultimate goal is to bring dream homes to reality, and for you to enjoy the process of building. We are excited by the opportunity to be involved in the enhancement of your lifestyle through the build of your new home. Adam Hobill has also recently published his first book; Nail it! take control of your building project and save thousdands. In the book, Adam has set out to achieve a simple goal; to educate and empower homeowners to give them knowledge and confidence to successfully complete a building project in a way that is cost effective, with less stress and less risk. Specializing in residential design, renovations, and extensions. Andrew Remely is a building designer specialising in stylish, energy efficient and cost-effective homes for the Canberra region. OUR FINELINE THESE ARE EXCITING TIMES IN THE WORLD OF HOUSING & WE HAVE ALL COME A GREAT DISTANCE IN OUR EXPECTATIONS OF HOW OUR HOUSES CAN WORK FOR US. THE INNOVATIONS IN BUILDING DESIGN & MATERIALS & DESIGN, COUPLED WITH EVOLVING AWARENESS & CONSUMER SAVVY MEANS MUCH IS AVAILABLE & ACHIEVABLE IN TERMS OF IMPROVED AMENITY, FUNCTION & AESTHETIC. WHETHER YOU’RE STARTING FROM SCRATCH OR LOOKING TO MAKE CHANGES TO YOUR EXISTING RESIDENCE, THERE ARE SO MANY POSSIBILITIES OF OPTIMIZING THE RESULTS. WITH CARE & ATTENTION TO DETAIL IT IS NOT NECESSARY TO SPEND A “FORTUNE’’ TO ACHIEVE GREAT EFFECTS. WE REVEL IN THE CHALLENGE & WOULD LOVE TO HELP YOU WITH YOUR PROJECT. The team at 360 Building Solutions have been in the construction business for over 10 years. The secret to our success is simple - we always take the time to sit down with our clients and listen to what they really want in a home. Through understanding our customers needs, we ensure customer satisfaction by building high quality homes that our clients truly love. Our homes stand out from the rest because we focus on the finer details and demand only the highest quality workmanship from our team. We specialise in new homes, renovations, knockdown rebuilds and extensions in Canberra and surrounding regions. We have been able to create a dependable team of architects, painters, electricians, plumbers and suppliers who also believe in creating quality homes with us and are open to suggestions from our clients at every stage of the building process. Should you wish to know more about how we work here at 360 Building, require a quotation or perhaps a second opinion, please contact Dean on 0415 493 912. I'm Tara Preston, I am the sole owner and operator of Ollie Studio and I have over 15 years experience in the construction industry as a designer. Over the years I have developed strong relationships with builders, other design professionals and planning authorities here in Canberra and interstate. When it comes to good design I know the most important relationship is the one I have with my client no matter the size of the project or the budget. What motivates me and gives me the most satisfaction is to create spaces that work for the way you live. If your project matters to you then it matters to me. Residential Building Designers. 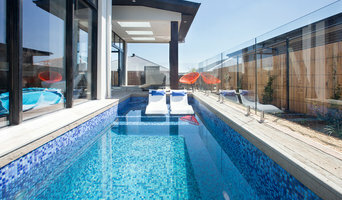 New Homes - custom designed Renovations and Extensions. Nathan Beer & Associates is a multi-disciplinary design and consulting company centred on delivering design and planning outcomes for all realms of the building industry. Our commitment to our clients is to deliver design and documentation specifically for their unique project being either unapproved structures or multi-unit/mixed use development. Our investigative approach and understanding of all local and regional planning councils enable us to well inform our clients of the process regarding design, required sub consultants and the planning approval process. 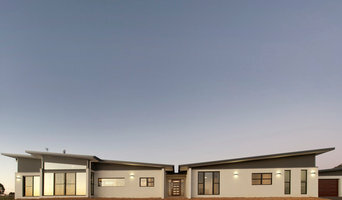 As with all other professional services for home design and renovation, the best way to choose a building designer in Canberra, ACT, AU is to asses their past work against the style and requirements you have for your individual project. The role of building designers has evolved from traditional drafting services to building design that takes into account your lifestyle, budget and site condition. Building designers in Canberra, ACT, AU also often work with contractors to ensure that structural elements are in line with desired aesthetics. Once you have a shortlist of building designers in Canberra, ACT, AU, engage in face-to-face talks about your brief, to ensure you’re on the same page. To get the most value for your money, you want someone who understands you, agrees with your ideas – in relation to sustainable design, space and function – and has the qualifications and enthusiasm to translate ideas to paper and into a reality. Look through Photos of house designs to find projects similar to your brief. Then, click through to the professional responsible for your favourite picks, browse their latest projects and read reviews. Once you’ve created a shortlist of Canberra, ACT, AU building designers, strike up a conversation with each one and you’ll be one step closer to the house of your dreams!